The Windows operating system has undergone vast changes in its latest version launched by Microsoft, the Windows 10. The admirers of Windows 7 would have found it a bit confusing. One of our favorite places in the Windows 7 used to be the Accessories folder which contains in it,all the essentials. A click on the start menu, and directly navigating to the Accessories part from the option All Programs would serve our purpose. But it doesn’t seem to be the same with Windows 10. True, opening up the All apps section would list a few apps, but in order to actually find out the Accessories folder, you need to do more. For all Windows 7 users out there, if you have spent much time searching for this folder, then you needn’t from now on. Some of the new additions to the Accessories family is the Math Input Panel and the Windows Journal along with the all time favorites Paint and Sticky notes. 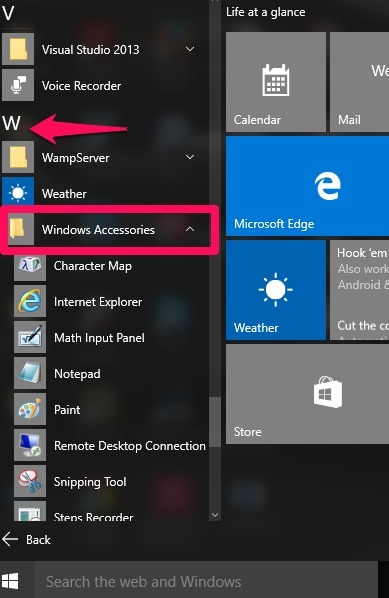 Here, we will discuss two different methods on how to access the accessories folder quickly on Windows 10. Read on to know how this process can be done!. 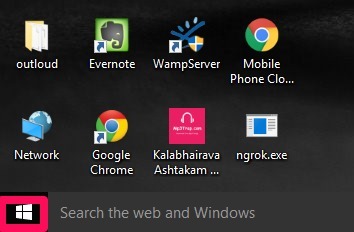 Click on the Windows icon- the Start menu that appears at the bottom left of your desktop. Once it opens up, you will find an option below it that says All Apps. Click on it. Now a series of application pops up towards the left. They will be arranged according to their alphabetical order. Scroll down till you reach W. Expand it to see the option Windows Accessories. All types of accessories you have wished for like sticky notes,notepad, paint and Windows journal will open up. 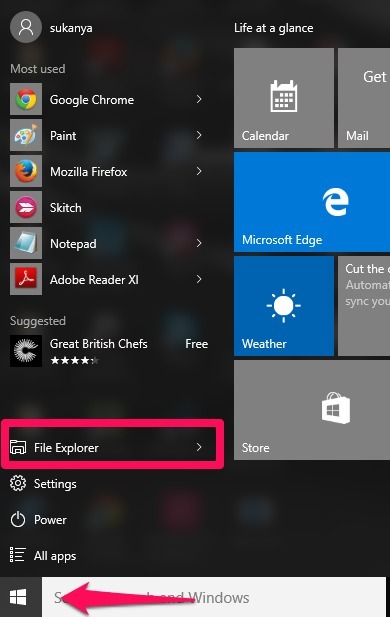 Click on the Windows icon at the bottom left of your desktop and choose the option File explorer from it. When you do so, a window pops up that contains the frequent folders, local disk drives and other recent files. Now on the address bar towards the top, type the following path and navigate over there. Hit Enter once you are done. Hope you had fun reading the article. Do try it out and explore more on your Windows 10 system.